It has been announced today that Archie Comics will be publishing a comic book series based on the Sonic Boom universe. This series will be written by Ian Flynn and illustrated by Evan Stanley. The 1st issue will have four different varying covers that align if they are put together. It looks like we’ll be getting plenty of Sonic Boom in the coming months with two games, a television series, and now a line of comics. 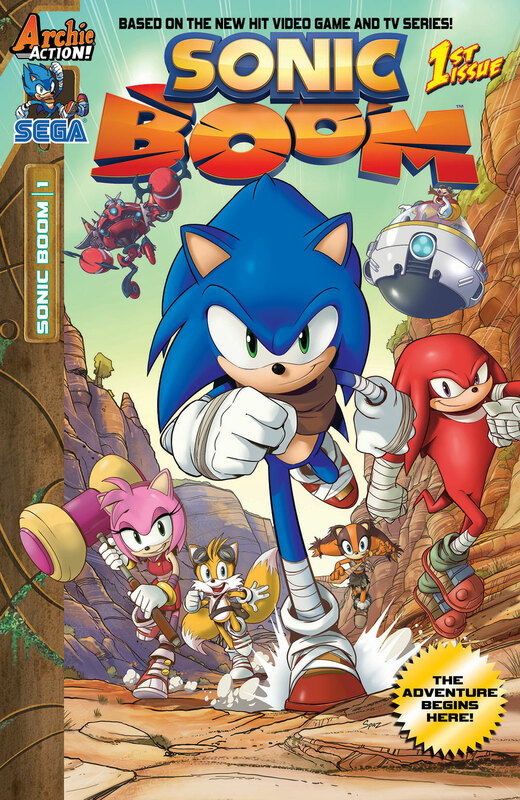 More information on the Sonic Boom comics will be revealed at San Diego Comic Con.